Mori Girl Outfits and style tips: Mori is the Japanese word for ‘Forest’, so straight away, the thought of earth and nature jumps to ones mind. This would also be a correct assumption for the style of a Mori Girl as she’s simply defined by all things natural and simple. In this article, team OutfitTrends will bring to you the tips and tricks on how to dress Mori along with some cute mori style outfits for you to try out. Mori girl clothing is very natural so try to venture toward fibers such as wool and cotton. Coming towards the colors, its best to stick with brown, beige and even bottle greens. An organic look requires organic shades and fabrics. It is acceptable in this style to use multiple layers as this builds up a natural volume. Wearing a simple top under a jumper or under a long coat is a great way to attain the Mori look. All Mori clothing does not have to be body focused, or fitted, it can be as baggy and as simple as you like. An extra-large silhouette is perfect in the Mori image. In fact, the Mori girl is more likely to be found in clothing which is too big for her so why not be daring and instead of buying your usual size, go for a couple of sizes bigger. This style also goes hand in hand with vintage junkies and the hippie styles so why not have a look at the Styles for the Modern Hipster too. Beware though! Even though these styles have similar qualities, the Mori girl is much more natural and in keeping with the forest feel. Have a look at some of the images below to avoid these mix-ups. They will be a great insight into the Mori Kei Forest girl style. What is a Mori Girl? Mori Kei is a style of fashion that originated in Japan and it is inspired by nature. We’ve tried to compile everything that you would want to know about the mori fashion. A girl named Choco is considered to be the founder of mori style and you can find a whole list of rules, through which she describes this style. In fact, according to the contents of the list, this isn’t just a style or fashion but its a complete lifestyle. The mori fashion isn’t very old, it only started in 2007 so it is still evolving but in its essence, a true mori girl would look like someone who just came out of a fairytale forest. Make-up for a Mori Girl is very straightforward and you just need to keep in mind the natural tones and colors. When choosing eye-shadows, stay along the lines of bronze, beige and brown. Make-up should be minimalist and if possible avoided at all cost. The whole idea of Mori is natural so why use unnatural items and colors? 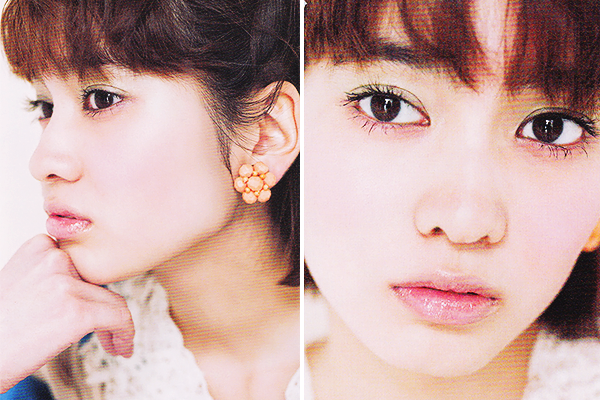 But if you do choose to put some on, make sure that you go for round makeup on cheeks as it is one of Choco’s rules. And if wearing perfume, it would be of a faint and sweet floral smell instead of the overpowering ones. Plaits, ponytails and straight hair are all the best ways which are frequently chosen by mori girls. Accessorise your hair with lace and flowers (real flowers preferably). These are both great ways to add color and a pretty and carefree touch to your hairstyle without looking too prim and proper. Think of a fairy or even The Lady of Shallot, both of these images are a fantastic inspiration to any girl wanting to know the perfect ways to look Mori. There are many mori girl accessories available so you can keep experimenting with these looks. It is highly recommended to keep a mori girl checklist. You can find more mori inspiration from these 10 Amazing DIY Hair Accessories with Simple Tutorials. Here are some beautiful braided hairstyles for the mori girls. You can see that these are not very complicated braids so they can easily be made and styled for everyday looks. Remember that if you really want to be a mori girl, you can not ignore your hairstyle. ↓ 20 – Shoes to Wear With Mori Style Outfits. The Mori girl is more likely to be seen wearing flat-soled ankle, calf or knee high boots with a rounded toe. This not only protects your feet from the forest ground but it also provides a softer look. Any footwear should be made from leather, fur, or even cotton because they are all natural materials. Cotton plimsolls are a good choice during summer for a Mori girl. Moccasins and slippers are occasionally seen too. If a mori girl chooses to wear sneakers, they would cute looking slip on ones which fit loosely on the feet. Why not experiment with these shoe styles and create your own Mori girl look? Remember, the Mori girl look is all about being and looking natural, about being one with nature. Picture yourself living in a forest and use these tips to create your own Mori image. Below are some pictures of girls in cute mori clothes. You can get lots of ideas from these images as of how to get a perfect mori look. Good Luck. When you’re looking for outfits, go for colors that belong to the earthy palette such as these beautiful outfits in shades of green and brown that only remind you of the lush green forests. A mori girl is never conscious about her body as she is above such petty concerns. So your outfits should be flowy instead of body-hugging. Moreover, a Mori girl’s first priority when shopping is always the comfort so keep a lookout for places that offer girly and comfy clothing. Layering is a key part of the mori girl outfits as this helps in creating a natural volume. You can try to add more of the lace elements in your layers as they blend well together. 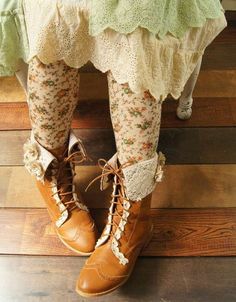 It’s best if you can find laces that have flowers or leaf styles and motifs as they depict the true mori nature. While it’s easy to layer in winters, it’s not too difficult to do this in summers too because in the hotter weather you can opt for lace kimonos that look great while making sure that you don’t feel uncomfortable. For ideas on wearing kimonos, check out these 20 Ways To Dress Up With Kimonos. When a mori girl chooses to wear prints, they should be vintage ones. Here’s a simple and cute look for all the young mori girls out there. You can find this beautiful mori dress and similar ones from here. In summers, its best for Mori girls to go for skirts and dresses. For more inspiration, have a look at these 19 Ideas on How to Wear Gypsy Skirts. For those living in warmer areas, mori dresses need to be comfortable and airy so you can have a good time without sweating it out. And if you’re looking for new hair color, we love this funky purple one. The outfit that is seen here also complements the hair color and this look would be ideal for a weekend getaway. Obviously, a mori girl needs to work and fit in the society but she doesn’t have to leave behind her mori style for this. Here are some wonderful looks to take inspiration for your work outfits. You could wear skirts, dresses, ponchos and blouses that fit loosely. You can layer the outfits with scarves or oversized shawls and sweaters. For the Fall or Autumn season, your outfits will move towards the red palette. You should choose sweaters and cardigans in colors like burgundy, maroon and even orange as they all blend really well with the Fall season. A mori girl loves whimsical items like pocket watches, lockets, wreaths, etc, and she would always prefer natural gems and handmade jewelry over other accessories. She also chooses gold accessories over silver or other colors as these represent her love for vintage and antique things. If she chooses to wear buttons, they would preferably be cloth ones instead of ordinary buttons. A mori girl would always choose leather bags instead of other materials. The mori socks are also made of natural material like wool. They are in solid colors, slouchy fabrics and they don’t usually have any prints on them. Of course a Mori girl needs an organic colored and fairytale dress for her big day. Here are some outfit inspirations that can work for both the bride and the bridesmaids. We love the brand Morilee that has dedicated itself to producing bridal and wedding outfits that are just perfect for the mori girl. You can see how this outfit has included lots of frills, giving it the mori vibes that you want. How amazing is the addition of a handmade brooch to this classic mori dress in white? Brooches like these are really easy to make by using the DIY tutorials available online. And the feeling of satisfaction that you get after making something like this is simply unmatchable. Mori outfits are often very similar to bohemian style so you can check out these 12 Chic Style Bohemian Outfits Combinations for this Season. Apart from vintage prints, a mori girl can also wear polka dots and plaid outfits. You can also combine different styles to create a beautiful look like this one. Apart from fashion and style, the mori book even specifies the hobbies and activities that a mori girl would take up. For instance, a mori girl likes making things with her own hands so she can take up stitching, knitting or making hand-made buttons. She often carries a camera in her hands, likes to hang out in cafes and she gets super excited about seeing cute books and furniture. A mori girl’s bedroom would have a natural feeling through the use of plants and lots of hand painted stuff. There would probably be a bookshelf too with all the cute books that she loves. Everything would be simple but beautiful to look at. The mori lifestyle is all about simplicity and enjoying the little blessings of life. Once you choose the mori style, there’s no going back because you just fall in love with its beauty and closeness to nature. Let us know in the comments about the things that you love most about mori fashion.